When it comes to luxury, brand holds significant equity. In fact, branding is one of the key defenses any company can develop to safeguard its place in the market and create shareholder value. This is why successful companies invest significant resources into building and protecting their brand. Intangible brand assets like a brand-name, logo, or slogan can be protected through copyrights, and trademark filings, but companies struggle to protect the most valuable touchpoint they have with the consumer - physical products. It is product that often embodies a brand most; consumers take them home to live with, enjoy, and perhaps even fall in love with over time. For this reason, brands need a way to protect this sacred asset from theft by counterfeit. According to the Global Brand Counterfeiting Report 2018, counterfeit goods reached 1.2 Trillion USD in 2017 and are set to grow to over 1.8 Trillion USD by 2020. The luxury sector is particularly hard hit with approximately 10% of sales lost each year to counterfeit goods. Organizations know a solution is needed to protect their brand and products, but so often current solutions are not secure, or too expensive to make economic sense. A solution is needed that makes product authentication ubiquitous by democratizing the sophisticated systems required to deploy item-level authentication at scale. All brands, regardless of size, deserve best-in-class, item-level security to show customers they stand behind their products. Blue Bite has achieved this through an end-to-end authentication as a service suite. One that enables brands to expose counterfeits, and simultaneously turn products into an exclusive, direct-to-consumer content channel. 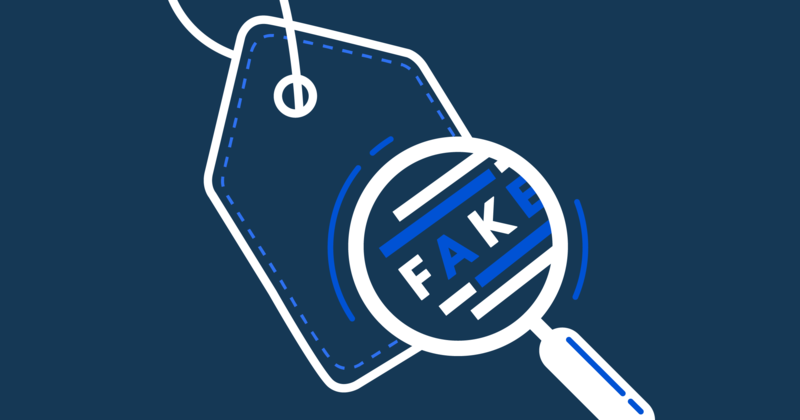 According to the Journal of Brand Management, brands who stand behind their products and educate customers on the pains of counterfeiting are rewarded with a higher brand perception because customers feel a brand is looking out for them and their identity. With Blue Bite Authentication, individual products can be embedded with highly secure NFC tags that work together with the cloud to create a highly-secure authentication system that can be accessed by anyone from brand associates to end consumers. NFC tags are small, flexible, inexpensive and generally take the form of a sticker. While their appearance may be unimpressive, their power comes from simplicity. Requiring no internal power and supporting up to 128-bit hardware encryption, NFC tags provide significant security advantage over legacy solutions. Each customer interaction is verified by the Blue Bite cloud to authenticate a tag’s identity. Smartphone interacts with a smart product. Upon tap the NFC chip inside the smart product generates a unique hash identifying the specific interaction. This hash is exposed to the interacting device through the encoded url as a query string parameter. The Blue Bite platform handles the page request and verifies that the unique interaction hash matches what is expected for the tag. Upon successful verification, a specific product’s attributes are shown to the user allowing them to make sure the recorded product data matches the product in hand. If any part of the URL does not check out, the product cannot be authenticated and the user is notified. Products can be embedded with NFC at the factory and item attributes synced to the cloud. This information can later be referenced by the brand, retailer, customer, and end consumer with just the tap of a smartphone. Is this product widely counterfeited? Can we offer customers something extra in the form of exclusive content to improve their experience? 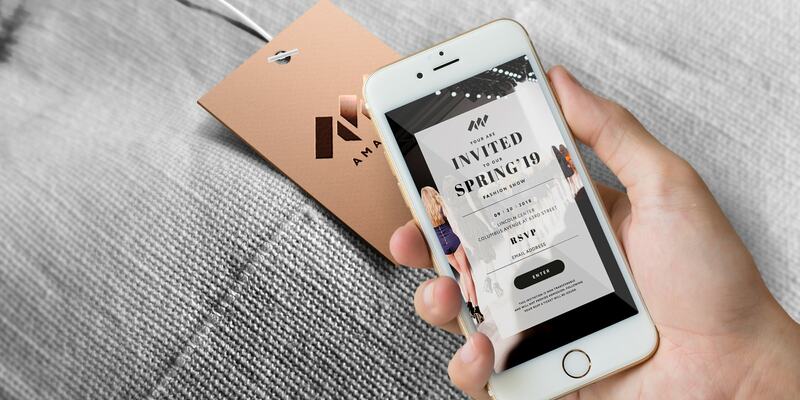 Once you have determined which products will see the most benefit from enablement, schedule an upcoming production run to include NFC tags as part of the manufacturing process. This is a relatively simple addition due to the low cost and form factor of the tags. Many brands choose to insert them under an existing logo or patch to make interaction easy and to relate the authenticity and content back to the brand. 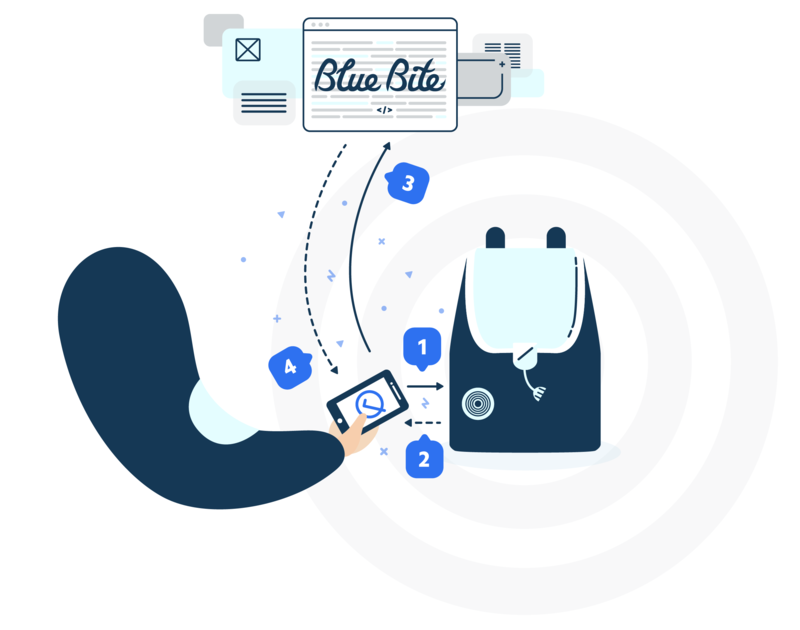 Beyond product authentication, Blue Bite enables new ways for brands to publish valuable content directly to consumers through physical products. This new content channel can be used to educate customers, and build a sense of community around owning an item. Content exclusivity is made possible by the same mechanism and level of security as product authentication. This means brands can ensure only consumers with a product in hand have access. As a result valuable offers such as e-tickets, owners-only product drops, artist playlists and video content can all be included with the purchase of a physical product. When products provide consumers more value, both brands and consumers win. Consider how you can educate customers on the pains of counterfeiting and how to spot fakes. Provide a way for customers to notify you if they spot a fake. This is a great way to show you are actively working to protect authenticity. Help customers get the most out of the product by providing tips and tricks. Reward customers with exclusive access to your brand. This could be a behind the scenes look at how a product came to be or the backstory of a designer or influencer who inspired the item. If you are feeling more generous turn the product into a ticket to attend a brand event. The ability to embed industry-leading cryptography into physical products is a game changer for brands looking to protect their IP and build brand perception. 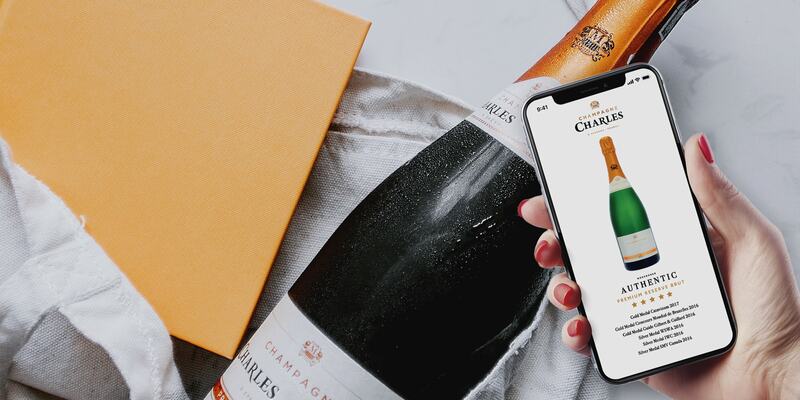 The added ability to message consumers through this new content channel allows brands to improve the experience of owning a product by providing value-add educational and exclusive content.